The Southeast District Athletic Board (SEDAB) is pleased to announce Andrew Wolford of Valley High School has been awarded the OHSAA Scholar-Athlete Scholarship in the amount of one thousand ($1000). Andrew plans to enroll at Ohio University in the fall and study Health Sciences. The Ohio High School Athletic Association annually provides scholarships for outstanding student athletes from its member schools. Each member high school may submit one senior male and one senior female candidate for scholarship consideration. Each member high school may also submit one senior female minority and one senior male minority candidate. The scholarships are awarded to student-athletes who have excelled in the classroom as well as high school sports. At the state level, the OHSAA provides forty-eight scholarships across the six OHSAA athletic districts. Thirty-six students receive $1,000 awards – including one student from each of the six OHSAA athletic districts that will receive an Ethnic Minority Scholarship – the remaining scholarships are awarded proportionately according to the number of schools in each athletic district. In addition to the four scholarships awarded by the Ohio High School Athletic Association the SEDAB is proud to award an additional twenty-one scholarships to the deserving scholar-athletes in Southeast Ohio. In conjunction with the OHSAA the SEDAB recently announced the 2016 Scholar-Athlete Scholarship awards at their annual Scholar-Athlete Banquet on June 23, 2016 in Jackson, Ohio. 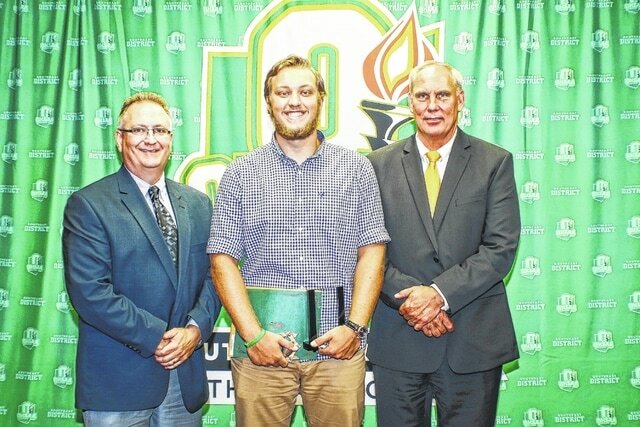 The OHSAA and SEDAB scholarships are awarded to student-athletes who have excelled academically and athletically. To be nominated by their high school students must meet the following criteria: must be a graduating senior; have a grade point average of 3.25 or higher on a 4.0 scale; must have taken either the ACT or SAT; must have received a minimum of three varsity letters in one OHSAA sanctioned sport or four varsity letters in a combination of any two or more OHSAA sanctioned sports.